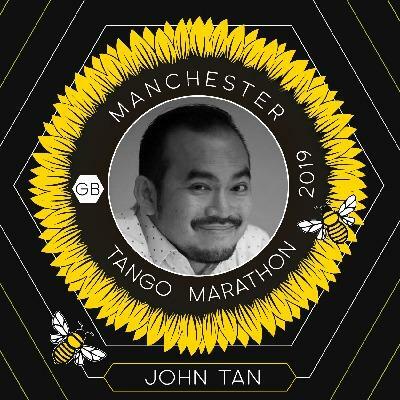 Once again, the Manchester POP-UP team is organising the second edition of The Big POP Manchester Tango Marathon 2018. We carry the same enthusiasms, passions and objectives and are more determined than ever to recreate the wonderful memories we made last year. Mission: It is very simple: we POP up a perfectly role-balanced tango marathon in this POP’in city and welcome all true tango addicts to POP in, enjoy and share a magnificent tango weekend in Altrincham, Manchester. Vision: It’s a party! Three long days of continuous excellent tango music, played by some of the most awesome DJs, providing the most amazing atmosphere in which to share your warmest embraces. We thrive for the best! We have paid special attention this year to the food and are sure you will enjoy our selection of meals. We'll also provide delicious snacks throughout the marathon to keep your energy level Up! Up! Up! Happy feet and a happy tummy are what you will get at The Big POP! This year more surprises await you, guaranteeing you will POP back home with a warm heart and a big sweet smile on your face. We are a group of tango enthusiasts from Manchester. The main reason to organise The Big POP Manchester Tango Marathon is to gather the tango fanatics from all over Europe to share a great summer tango party in the UK! Summer, Tango, Manchester, Prosecco! why not?